Hawaii Democratic Rep. Tulsi Gabbard is running for president, she told CNN's Van Jones in an interview to air Saturday. The big picture: Gabbard, one of the first female combat veterans in Congress, joins a crowded field of potential candidates. She plans to make a formal announcement "within the next week." Catch up quick: Gabbard is a progressive Democrat who served as vice-chairwoman of the Democratic National Committee, before resigning to support Sen. Bernie Sanders in the 2016 primaries. Gabbard was first elected to the House in 2012, when she became the first American Samoan and Hindu lawmaker in Congress. She called out now-President Trump after his statements over continuing support of Saudi Arabia in the wake of the murder of Jamal Khashoggi, tweeting that "being Saudi Arabia's b*tch is not 'America First.'" 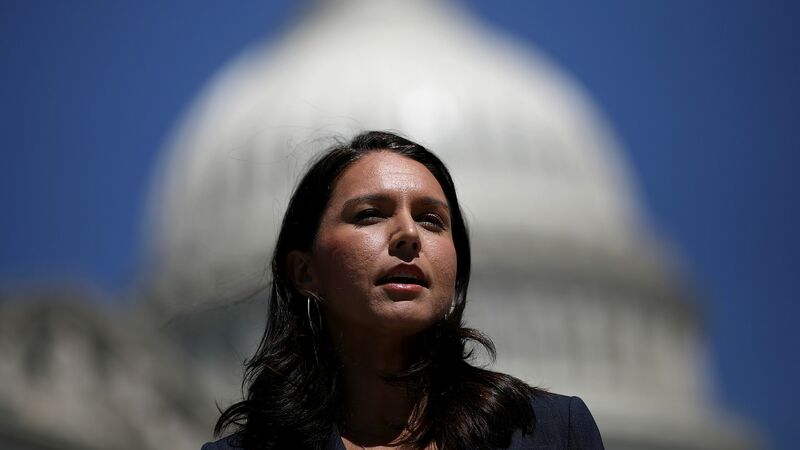 Gabbard herself has come under fire for meeting with Syrian dictator Bashar al-Assad in 2017. She has vehemently argued against U.S.-led regime change and "staked out anti-interventionist foreign policy positions in Congress," per CNN.